Although it is a felony offense in all 50 states, organized dogfighting still takes place in many parts of the country. Historical accounts date as far back as the 1750s, with professional fighting pits proliferating in the 1860s. As with any other illegal underground activity, it is impossible to determine how many people may be involved in dogfighting. 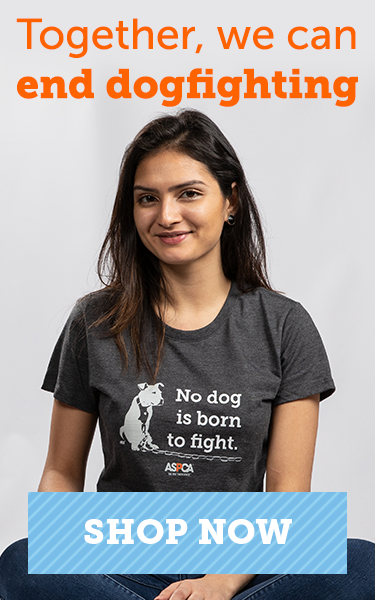 Estimates based on fight reports in underground dogfighting publications, and on animals entering shelters bearing evidence of fighting, suggest that the number of people involved in dogfighting in the U.S. is in the tens of thousands. While organized dogfighting activity seemed to decline in the 1990s, many law enforcement and animal control officials feel that it has rebounded in recent years, with the Internet making it easier than ever for dogfighters to exchange information about animals and fights. Why Do People Get Involved in Dogfighting? 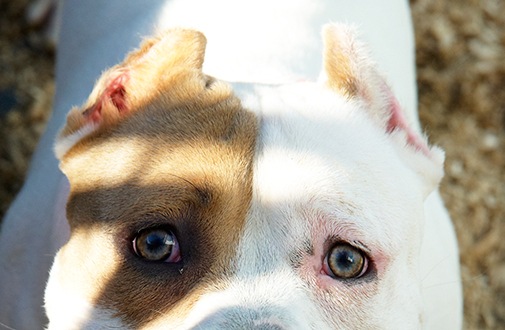 There are many reasons people are drawn to dogfighting. The most basic is greed. Major dogfight raids have resulted in seizures of more than $500,000, and it is not unusual for $20,000 - $30,000 to change hands in a single fight. Stud fees and the sale of pups from promising bloodlines can also bring in thousands of dollars. For others, the attraction lies in using the animals as an extension of themselves to fight their battles for them and to demonstrate their strength and prowess. However, when a dog loses, this can cause the owner of the dog to lose not only money, but status, and may lead to brutal actions against the dog. For others, the appeal simply seems to come from the sadistic enjoyment of a brutal spectacle. Which Dogs Are Used in Dogfighting? For professional and hobbyist dogfighters, the sale of pups from parents who have won several fights is a major part of their activity. Underground dogfighting publications and websites are commonly used to advertise pups or the availability of breeding stock. Many “street” fighters think they can also make money by breeding and selling dogs, but a great number of these animals are killed or abandoned if they fail to perform. Although there are many breeds of dogs used for fighting worldwide—including the Fila Brasileiro, Dogo Argentino, the Tosa Inu and the Presa Canario—the dog of choice for fighting in the United States is the American Pit Bull Terrier. Occasionally other breeds and mixes are reportedly used in street fights or as “bait” dogs used by some to train dogfighting victims. This does not mean that the pit bull is unsuitable as a family pet. It is important to remember that any dog can behave aggressively, depending on the context, his genetic background and his upbringing and environment. When a dog is treated well, properly trained and thoroughly socialized during puppyhood and matched with the right kind of owner and household, he’s likely to develop into a well-behaved companion and cherished member of the family. How Are Dogfighting Victims Raised and Trained? Dogs used for fighting must be kept isolated from other dogs, so they spend most of their lives on short, heavy chains, often just out of reach of other dogs. They are usually unsocialized to other dogs and to most people. However, many professional fighters invest much time and money in conditioning their animals. They are often given quality nutrition and basic veterinary care. The dogs are exercised under controlled conditions, such as on a treadmill. The conditioning of dogfighting victims may also make use of a variety of legal and illegal drugs, including anabolic steroids to enhance muscle mass and encourage aggressiveness. Narcotic drugs may also be used to increase the dogs’ aggression, increase reactivity and mask pain or fear during a fight. Dogfighting victims used by all types of fighters may have their ears cropped and tails docked close to their bodies. This serves two purposes: First, it limits the areas of the body that another dog can grab onto in a fight, and second, it makes it more difficult for other dogs to read the animal’s mood and intentions through normal body language cues. Fighters usually perform this cropping/docking themselves using crude and inhumane techniques. This can lead to additional criminal charges related to animal cruelty and/or the illegal practice of veterinary medicine. What Happens in a Dogfight? Fights can take place in a variety of locations and at any time. They may be impromptu street fights in a back alley, or carefully planned and staged enterprises in a location specifically designed and maintained for the purpose. Usually the fight takes place in a pit that is between 14 and 20 feet square, with sides that may be made of plywood, hay bales, chain link or anything else that can contain the animals. The flooring may be dirt, wood, carpet or sawdust. In a more organized fight, the dogs will be weighed to make sure they are approximately the same weight. Handlers will often wash and examine the opponent’s dog to remove any toxic substances that may have been placed on the fur in an attempt to deter or harm the opposing dog. At the start of a fight, the dogs are released from opposite corners and usually meet in the middle, wrestling to get a hold on the opponent. If they do, the dogs grab and shake to inflict maximal damage. Handlers are not permitted to touch the dogs except when told to do so by the referee. Fights can last just a few minutes or several hours. Both animals may suffer injuries, including puncture wounds, lacerations, blood loss, crushing injuries and broken bones. Although fights are not usually to the death, many dogs succumb to their injuries later. What Are the Laws Related to Dogfighting? As of 2008, dogfighting is a felony in all 50 states and in the District of Columbia, Guam, Puerto Rico and the U.S. Virgin Islands. In most states, the possession of dogs for the purpose of fighting is also a felony offense. Being a spectator at a dogfight is also illegal in all states. Laws and penalties vary widely by state. On the federal side, the Animal Welfare Act of 1966 prohibits certain animal fighting-related activities when they have involved more than one state or interstate mail services, including the U.S. Postal Service. 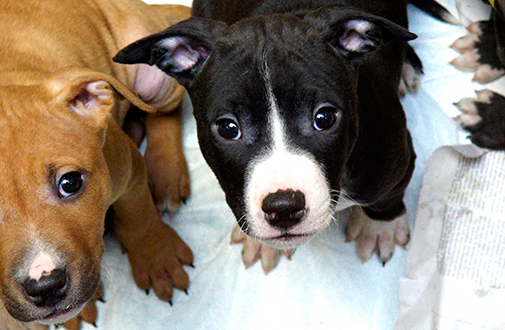 In 2007, Congress passed the Animal Fighting Prohibition Enforcement Act with strong bipartisan support. The Act amended the Animal Welfare Act and provides felony penalties for interstate commerce, import and export relating to commerce in dogs abused for profit, roosters who are forced to fight and cockfighting paraphernalia. Each violation can result in up to three years in jail and a $250,000 fine. In 2014, the crucial elements of the Animal Fighting Spectator Prohibition Act were signed into law as part of the Farm Bill. This provision makes attending an animal fight anywhere in the U.S. a federal offense, and imposes additional penalties for bringing a child under 16 to an animal fight. 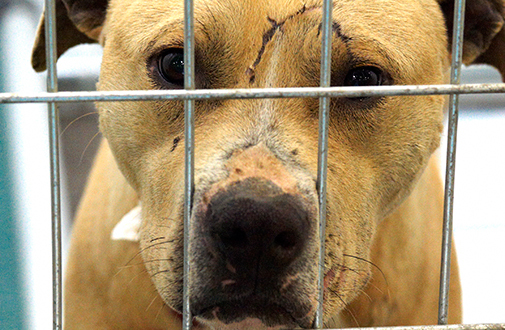 If Dogfighting Is So Widespread, Why Don’t More Cases Come to Light? Dogfighting is a violent and highly secretive enterprise that is extremely difficult for law enforcement and investigative professionals to infiltrate. A dogfight investigation requires many of the same skills and resources as a major undercover narcotics investigation, and challenges the resources of any agency that seeks to respond to it. An additional complication is that the evidence likely to be seized in a raid includes the dogs—living creatures who must be taken care of and maintained while the judicial process unfolds. Most prosecutors would be happy to take on every dogfighting case they could, but they are limited by the human and animal care resources available to them. 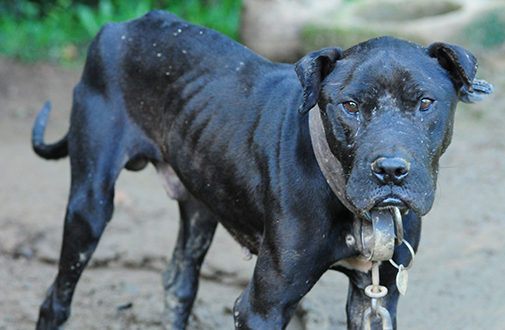 "Dogfighting is more than just a crime. It’s a deep, persistent stain on our national character that, despite being illegal in every state, still disgraces our culture with a shockingly wide diversity of locations, participants and onlookers."